Whether you are planning for your first home, next home or forever home, there are a lot of things to consider. Do you find a home with all your current and future needs in place, remodel an existing home, or build a new home? It is difficult to know what your future needs may be as you get closer to your golden years. Will you or so meone you know have health related issues that limit their mobility? Even if you are in good health and have good mobility, there may be someone that you know who has limited mobility and can’t come to your home because of the need to use a cane, a walker, or a wheelchair to get around. With a little planning, you could have a home that can provide access to all its levels for you, your family, and friends regardless of their mobility level. A residential home elevator can give you the mobility freedom now and in the future eliminating any fear of having to give up your home. Work with your realtor, builder, or architect to help you find a home with, or design for a residential elevator that will keep you in your home for years to come. 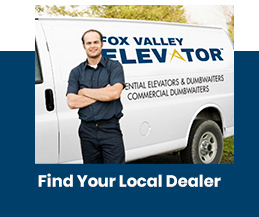 Even if you are not ready to have the elevator installed today, you can prepare your home to make it easier to install the elevator in the future. 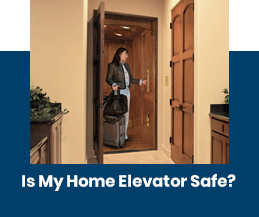 You can have the elevator hoistway designed in the home for your use now or in the future. Even if this is not your forever home, it can be sold as elevator ready. 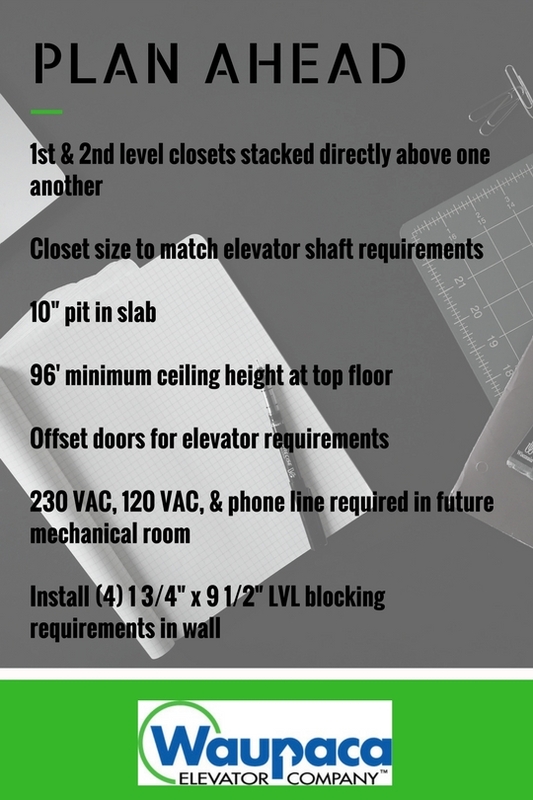 By planning and stacking a set of closets on all floors in the home, these closets can be converted into an elevator hoistway at any time in the future for a residential elevator.